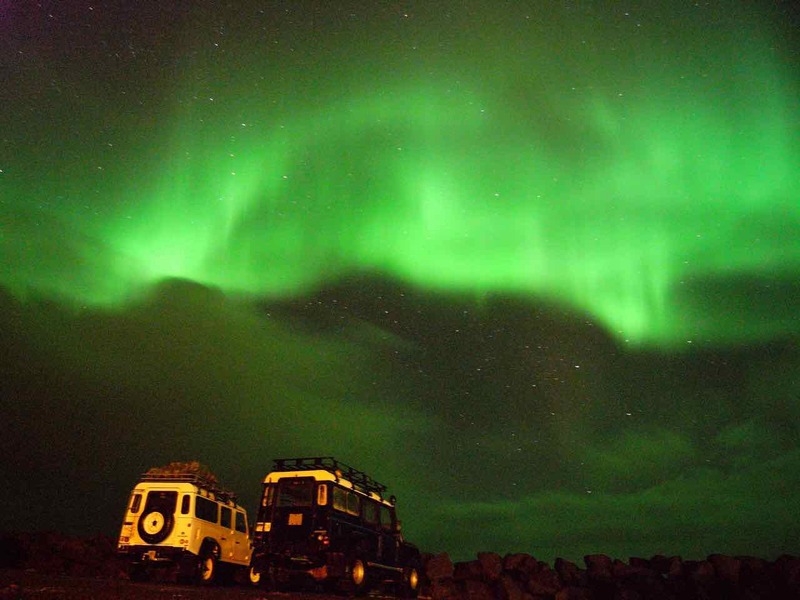 In a team of two Land Rovers we drove out of Reykjavík in the pouring rain. The skies were black, the outlook was bleak. 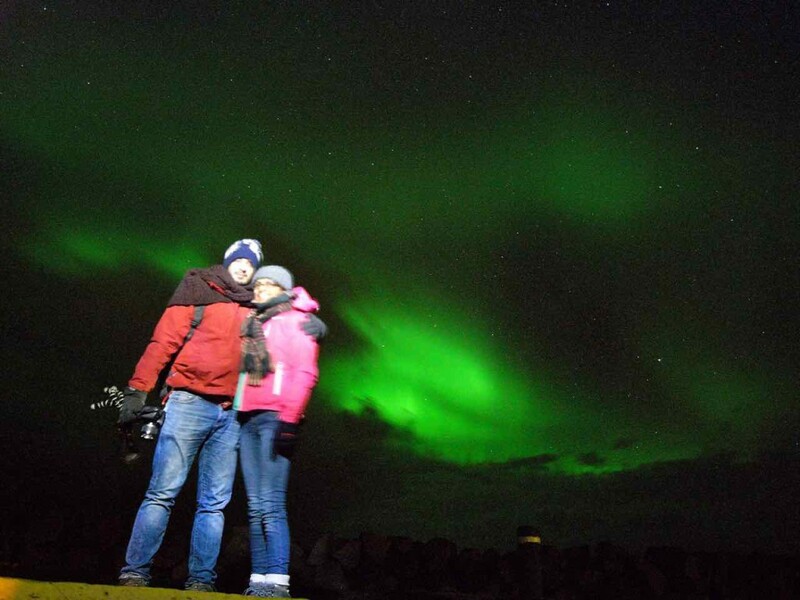 The day had seen the worst storm Iceland had in several years. But we had hope. We had spent the afternoon analyzing cloud forecasts, magnetic observations and satellite images as well as chatting with the Met office. We decided the chance of sighting was good enough to validate a night out with the group of 12. Our plan was to drive towards the Reykjanes peninsula as the skies should clear up from the South. Reaching Keflavík it was still raining but getting lighter. We figured we had enough time to grab a pint of Gull at Kaffi Duus. Beats standing outside in the rain any day. While the guys chatted away over the Icelandic award-winning brew we monitored the forecast and the sky outside. Concluding it best to be at Garðskagaviti at 23:00 we got our woollen jumpers on and jumped back in the Land Rovers. 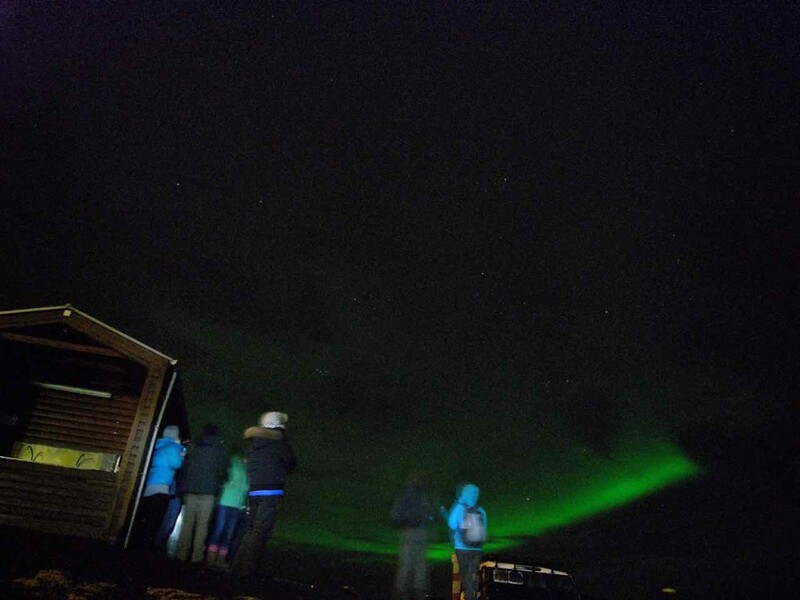 To cut a rather short story shorter: the Northern Lights showed up at 23:14 and they were amazing!